Joey & Francis's Wedding, Oct 1, 2012: Have a Few Words for us? Have a Few Words for us? Whether you have a few words about our website, our invitation card or our wedding in general, tell us below! 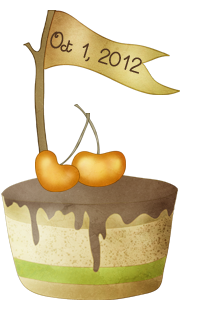 I just received the Chocolate Invitation card on Oct 1! Anyway, I am glad to receive it finally. The ideal but reasonable nutritional facts impressed me and Hugo! Touching speeches. Feel glad for you. What a pleasant surprise given to us. I thought you were really..creative and think green. Congratulations to you and Francis. Looking forward to this wonderful moment! Michael,Nelly and Chris. 收到你地嘅喜帖,although i already whats app Francis but我忍唔住唔post,實在係太勁啦! Such a wonderful invitation and gift, so thoughful, and practical too! You guys are crazy! So looking forward to your big day! We haven't meet each other for a long time. We would like to ask for the address of the church and the time please. Looking foward to meeting you and congratulations on finding your another half. Enjoy your happy life, and may you and Francis have sweet sweet day whenever and wherever. Your invitation is so fantastic that I like it much!!! May God bless you both a happy marriage and everything goes smoothly on your big day. What a creative invitation packing we have ever seen! Congrats with best wishes! Wanna talk to the donuts? Copyright © 2012 Joey & Francis's Wedding 1001. All Rights Reserved.